Rabbit Rescuer. An Animal Rescue in Oregon offers $1500 for 17 misappropriated rabbits and the rightful owner of those rabbits says no?? 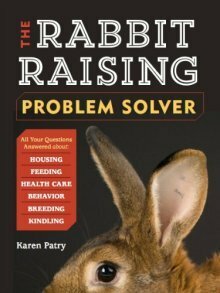 One rabbit raiser offers answers to the question - "why a 'no' answer given all that money?' - perplexing the rescuer. The context of the following was a series of email exchanges with a volunteer from RabbitAdvocates (RA), a pet rabbit educational group in Portland, Oregon. In January of 2012, unknown persons stole rabbits from Portland Meat Collective (PMC), a custom butcher education organization, and dumped the stolen rabbits on RabbitAdvocates in the middle of the night. RA returned the rabbits to PMC, but not before a great deal of sound and fury occurred on all sides of the animal welfare/meat rabbit divide. In an attempt to try to bridge that divide, I emailed RA and started a conversation about the troubles they had been having, and expressed my wishes that things calmed down for them soon. The volunteer said thanks, she hoped so as well, and we talked about different views on the topic. As a part of the process of getting the rabbits returned, Rabbit Advocates supposedly offered PMC $1500 for 17 meat rabbit breeders (and fryers?). To my eye, these were all meat mutt rabbits of no particular lineage, and the reports that I read indicated that PMC had not been breeding for meat production for very long. "We came up with an offer though, of $1500, to buy all of the rabbits, as we had become attached to them immediately. They turned that offer down. If you have any insight into why, I would love to hear it, as we thought it was a generous offer. We knew that they would continue their business, but we just wanted to save these rabbits from the inevitable." WHY didn't they take the money?" I'd like to point out here that as a person with very strongly held opinions, who does not always get on well with people who don't agree with me, I think it takes a bit of wisdom and courage to ask someone that you disagree with quite a lot just *why* they hold to those obviously insane, illogical positions, and to ask in a polite way. Firstly, as a careful animal steward, I don't need more money to ensure my animals are well taken care of. I budget time, feed, vet bills & equipment against my household food budget and what I get from selling purebreds (which is not many - 2-3 at most per litter of 8-12). Please don't mistake me - while my garden, my ducks (eggs) and my rabbits are the backbone of my diet, and a failure of any would require significant re-budgeting, I still most clearly fall into the 'hobby' farm category, in that I could, financially, stop gardening and sell the animals, and not suffer a catastrophic loss of income that would cause me to take on a second job or lose the house. But I am not in need of the huge premium represented by $90 a rabbit. Secondly, the money cannot replace the genetics I am producing. 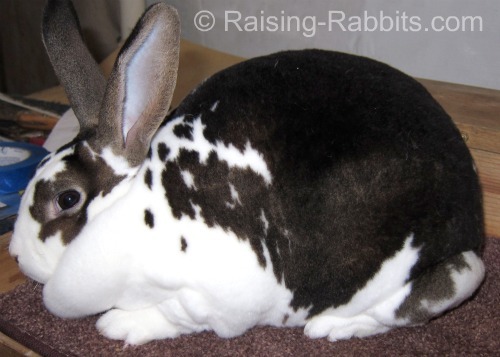 I raise one of the rare breeds of rabbit, and while most of the litters go for fryers, the breeders represent careful selection for shape, health, growth, and temperament. If a disease outbreak were to wipe me out, or a fire, I could build new cages and put new rabbits into them, but that could not replace the years of effort lost. I don't think that PMC has (yet) put the same amount of time into their genetic lines, but that makes what they have achieved that much more precious to them. Thirdly, I happen to like my rabbits just a little bit. I have had some of them for nearly two years now - I'm still new in rabbit raising. My attachment to some of them has been immediate, and for others it has taken a bit more. If my sweet herd buck Hankers (Hank, named for Henry McCoy of the XMen) was stolen, I would be extremely upset. If he were found and someone offered to buy him, I would not sell him, and that is entirely aside from the value of his genetics. Fourthly, aside from my attachment to them, I would not accept such an offer because I would not know how well taken care of they would be. Death is not the worst thing that can happen to any of us. Suffering, mistreatment, having your sickness ignored, having your housing go uncleaned, letting someone be careless with exposing you to danger...from experience, I do not trust that all the people who take animals from a shelter or a rescue would always do right by them. If something were to happen to me, all my animals already have places that they are designated to go and live. None of them will go to a shelter - including the dog and cat. In my opinion, shelters and rabbit rescue agencies are last resorts after all else has failed. Responsible, careful animal owners would arrange a second and third plan to take care of their animals, should something happen to them. Finally, I would not take such an offer from a rabbit rescue because it was offered with the implication that there was something wrong with the eventual destiny of these rabbits - that they would die and be eaten. From the rabbits that I slaughter and cook, through the young cottontail snatched up by a hawk - this is the role of rabbits in the world. As Richard Adams said in his wonderful book, eventually they all stop running. And at that time, I think, it is most right that their strength and life go on to nurture other life. I would not eat something I despised, or thought ugly or despicable. I eat the things that are healthy and will sustain me. Surrendering the animals to a rabbit rescue and the uncertain future ahead of them was preferable to ensuring they were kept healthy and humanely killed. It would be a surrender to those fringe activists who try to burn slaughterhouses and criminalize farmers. It would be allowing money to take priority over principle. Those are the reasons I would not trade my rabbits for money from a rabbit rescuer organization. Part of the (many) reasons I raise meat rabbits is to keep a stronger connection to the rest of creation - to recall that all of my wealth comes at the expense of something or someone else, and that I do not own even my own existence. In my opinion, attacking me because I raise my own meat supports the mindless grocery store consumption of products that come pre-wrapped, pre-packaged, grown, shipped and shelved by people we never speak to, and that are paid for at self-service counters so that it seems no other person is involved in the food that keeps us alive. To me, that is more abhorrent than humanely slaughtering animals for food. One last note: Please don't take that last as a swipe at Big Ag - commercial farmers feed the world. I just wish that more of us were more connected to the food we eat, the places it was produced, and the people who herd the animals, slop the hogs, wade in the mud, drive the combines and tractors, and keep the brightly lit shops open 24/7. There are many ways of doing this, and my way includes raising rabbits. -- K.